I know, two posts in one day...crazy! 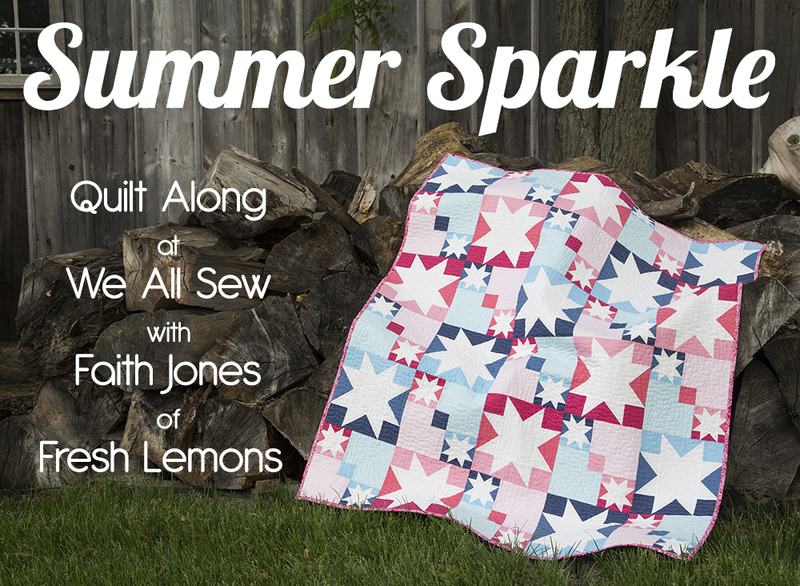 :) But today marks the first week of my Summer Sparkle Quilt Along over at Bernina's We All Sew blog. If you have ever wanted to make a 4th of July quilt...or even just love stars...this is your chance! 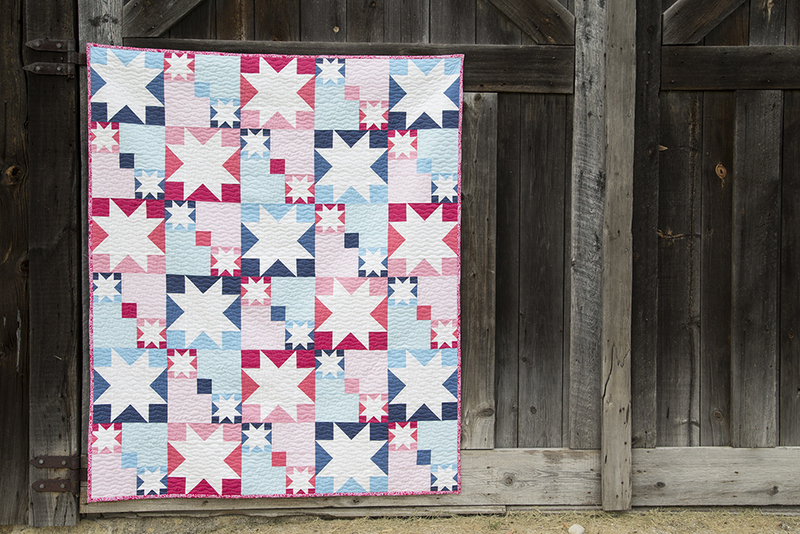 The Summer Sparkle Quilt is a Sawtooth Star design that uses color gradients in a fun way. I used Color Block Ombre fabric from Vanessa Christenson of V & Co’s Color Me Happy line for Moda. Isn't it great? I hope you will join along! ** Someone emailed me to call to my attention that there are a few items that were left off/changed on the cutting instructions for my pattern. I've let Bernina know and they will correct, but hold off on cutting until I update this. (Feel free to go ahead and order your fabric though). :) ** Looks like everything is now up and correct over there!